Today I’ll give my market projections for this year and discuss what they mean for both buyers and sellers. Now that we’ve settled into 2019, I’d like to take some time to examine where our market might be headed in the coming year. The new year frequently means an uptick in the number of expired listings. That, paired with inventory being at an all-time low, translates into sellers enjoying less competition and being situated at a fairly high price point in the market. Still, it appears we’ve reached the peak of price levels. 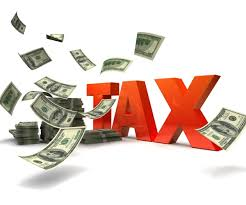 In fact, I’ve seen depreciation become a factor in certain neighborhoods where values and sale prices had ballooned to extremely high levels before hitting their peak. "Also, interest rates are beginning to increase, and while only expected to be marginal, that 1% or 2% could make all the difference in affordability for you." In other words, now is the time to sell. Delaying until spring will only result in you being caught in the flood of homes entering the market. As it concerns buyers, we’re seeing a lot of great homes hitting the market from sellers who didn’t want to be hassled by selling during the holiday season, but who also want to stay ahead of the spring competition. Also, interest rates are beginning to increase, and while only expected to be marginal, that 1% or 2% could make all the difference in affordability for you. If you’re thinking about buying or selling in 2019 or for help with any of your real estate concerns, we’d love to start that conversation with you. 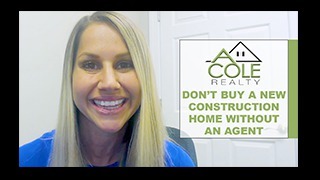 Give us a call at 919-578-3128 or visit us online at AColeRealty.com.